African American Heritage Walking Tours run on the first Saturday of the month from June to October. They start at the visitor center on Penn Square, which in the heart of the city. Prior to the American Civil War, there were several black-owned businesses in and around the square. Many of the owners were active in public affairs. Black farmers were also able to sell their produce at the Lancaster Central Market. On Queen Street, the Elite Hotel was the only accommodation option for visiting African Americans in the early 20th century. The property that is now the Lancaster County Convention Center once served as an Underground Railroad safe house, circa 1850. 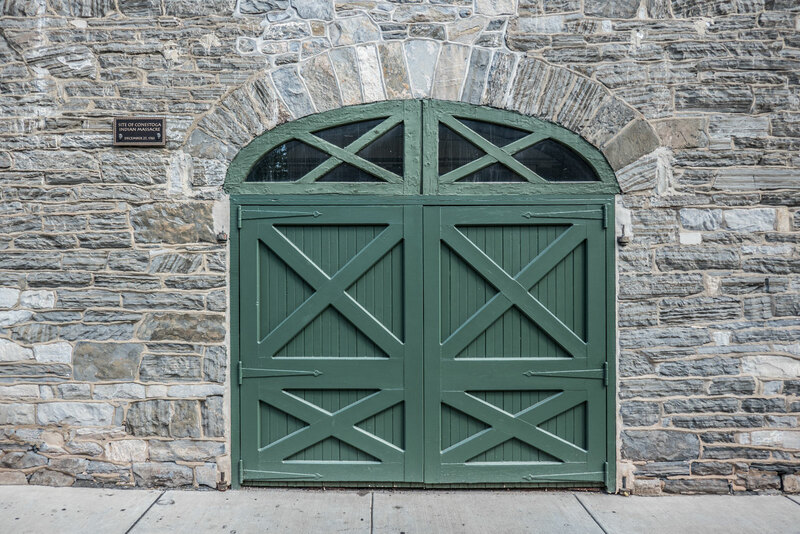 The old Lancaster train station took the runaway slaves to Philadelphia and points north in box cars fitted with false ends. African Americans worshiped at Trinity Lutheran and Saint James Episcopal churches as far back as 1744. In 1817, some African Americans left Saint James Episcopal to form Bethel AME. From 1841-1883, there was an African American free school in the rear of the property. The Shreiner-Concord Cemetery was the only public cemetery open to all races and religions. Former Radical Republican congressman, Thaddeus Stevens is buried there along with many colored troops from the Civil War era. It was Stevens who made a speech from the Lancaster County Courthouse in 1865 calling for 40 acres and a mule for liberated black families in the conquered southern states. Amish is a way of life brought over from Switzerland around 1690. Contrary to popular belief, it is not a religion. The oldest (and second largest) Amish settlement in the United States is in Lancaster County, where there are an estimated 30,000 living in a 30-mile radius. 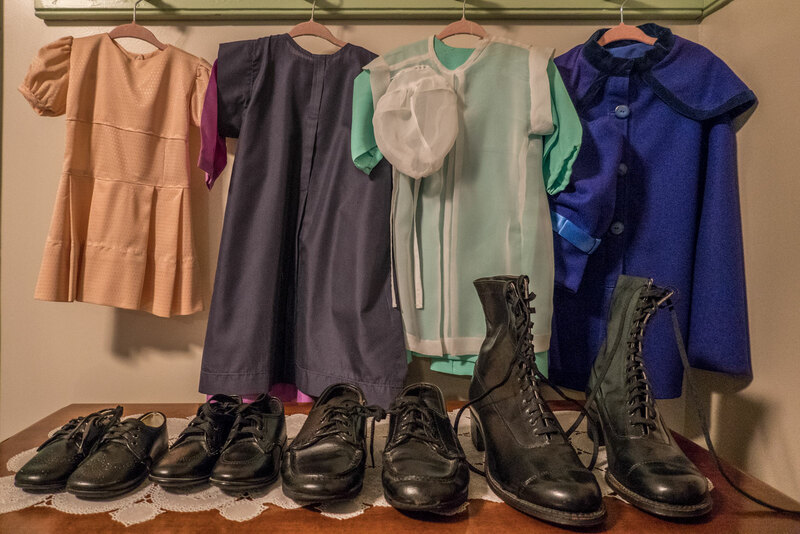 At the Amish Farm and House, you can see how the Amish have lived for more than 300 years. The Amish kitchen is of particular interest. Although many see their lives as isolated and restrictive, the Amish have no dietary restrictions. Since they shun electricity, propane is used for cooking and lighting. Most Amish in Lancaster County have indoor plumbing. Their clothing is rather uniform (strictly solid colors) and there is plenty on display in the upstairs bedrooms. Perhaps the most striking difference between the Amish home and most American homes is the lack of pictures. Like Muslims, the Amish forbid photos of sentient beings. Highlights of the outside include old farming equipment, a vacuum milker, blacksmith shop as well as a schoolhouse. The Amish are only educated up to 8th grade, as that’s all they deem necessary for their way of living. The only thing missing from the museum are the actual Amish people. For those who want to see Amish life in the 21st century, 90-minute bus tours leave from the museum seven days a week. They wind through the back roads of Lancaster County, where the Amish live and work. They are generally friendly people as long as you don’t try to take their picture. Decades before there was a United States of America, there was the Lancaster Central Market. It claims to be America’s longest running farmers’ market (since 1730). Sorry, Broad Street Market! It does a superb job of blending Victorian charm, agricultural heritage a, d multiculturalism. 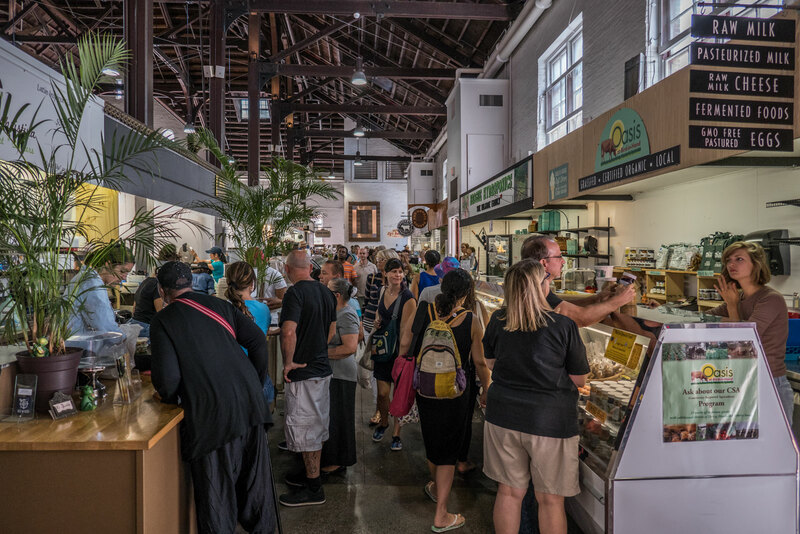 Take advantage of the opportunity to try local (Amish) specialties like sticky bun and whoopie pies. Its convenient downtown location makes the market an ideal base from which to explore the rest of the city. 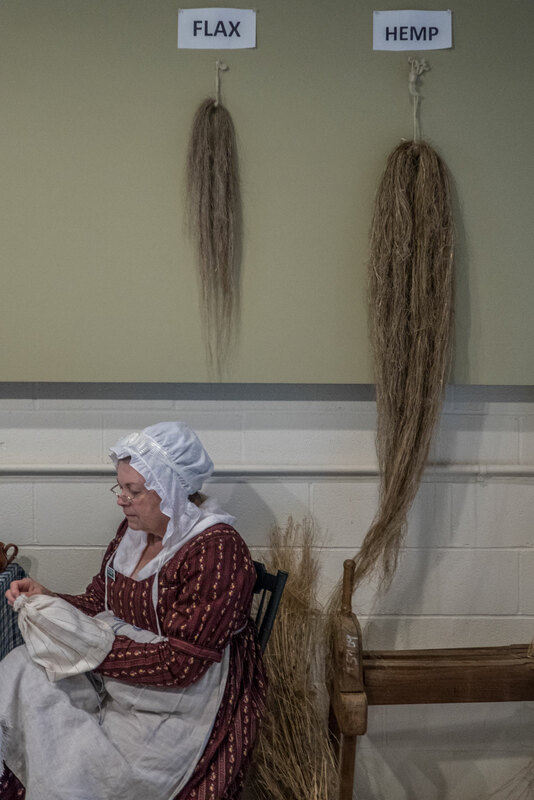 With more than 20 buildings open to the public, Landis Valley is the largest museum dedicated to preserving Pennsylvania Dutch history. An estimated one-third of early Pennsylvania settlers were from Germany and “Pennsylvania Dutch” refers to those German settlers. George and Henry Landis collected artifacts from early German settlers and established a museum in 1925. Today the museum is spread out over 100 acres and boasts more than 100,000 artifacts. Highlights of the more than 25 buildings on the property include the collections gallery, an exhibit explaining the difference between Amish and Mennonites as well as the demonstrators. The museum blacksmith, Frank Gillespie is a true artist and puts on an impressive demonstration on how to make a wall hook. Guided tours are available. It’s worth trying to plan your visit to coincide with one of their special events. 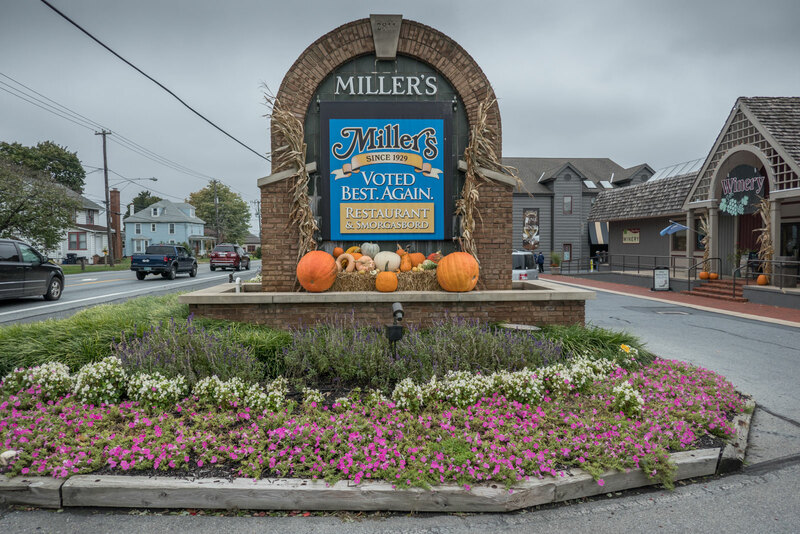 Their slogan is “if you miss Miller’s, you miss Lancaster County.” While this certainly raises expectations, being around since 1929 means that they are doing something right. Like other smorgasbords in the area, there’s more than just food. The property also has a winery, bible history exhibit a, d quilt shop. The traditional smorgasbord has more than 40 items, but there is also an a la carte menu. Drinks are not included in the smorgasbord price, but their homemade shoofly liqueur is an essential part of the Pennsylvania Dutch experience. In the 240 years since America declared independence, only one of the 44 Presidents has been from Pennsylvania. You know, the state where the constitution was written and the declaration of independence was signed! Even some historians can be forgiven for forgetting his name because it’s been a LONG time. James Buchanan was the last President before the start of the Civil War. He was followed by Abraham Lincoln from Illinois and as of 2008, Illinois has produced more United States Presidents than Pennsylvania. Oh well, the good news is that Buchanan’s house is well preserved and has one of the coolest bathtubs. Perhaps cool because nobody actually has to use it and there’s an interesting looking bidet next to it. In addition to being the only president from Pennsylvania, Buchanan was also the only bachelor to occupy the White House. Compare hotel prices, read reviews and book your Lancaster hotel at TripAdvisor! Super interesting list of activities to do in Lancaster. Specially everything related to the history of the place and its traditions. I know I’d enjoy a visit to the market, going through all local specialties and delicacies. I find the whole Amish way of life fascinating although I don’t know much about it. I would love to do that tour, it must be so interesting. Ooo and also visit the Lancaster Market. It looks divine! This is indeed very interesting and actually reminds me of my trip to Amsterdam in Netherlands. It’s always lovely to learn about the old traditions. I love learning about a cultures traditions old and new and Lancaster looks perfect for remedying that. Looks like a great place to visit. My wife is from Hershey. I’ve spent a lot of time in and around the Lancaster area. It’s a great little town with tons of stuff to do. Next time your there try the Crepes at Rachel’s. AMAZING. I had no idea that the Amish lifestyle was brought from Switzerland, I always thought it originated in America. It is very interesting that Amish people forbid photos. It reminds me of a Chinese superstition, which says that if you snap a photo of someone you are stealing their soul. That museum has to be very interesting! Looks like a fun family destination. The only time I have ever been to Pennsylvania was to go to gymnastics camp. I would love to go shopping at the central market. No matter where we travel we also try to find the market to shop at. Lancaster is like a blast from the past! There’s so much that you can experience here! I would totally get lost in the Farmer’s Market, that’s a place that I’m going to enjoy! I have a love for visiting places significant to the Underground Railroad. I would love seeing the Lancaster County Convention Center! I also enjoy a good market scene, so I would definitely hit that up too! With all these 6 reasons you have provided, I guessed I want to pack all my things and go there right now. I would love to experience the ambiance in the museum of that village cause I always love ambling around the museum whenever I get the chance. Amazing. The post so well connected me through the heritage just like experiencing it lively. Such an incredible amount, and variety of things to do. I love that you can spend the morning immersing yourself in history and the afternoon perusing the oldest farmers market. It would be great with out kids because of the interactive type of experiences, they would love to tour the Amish farm and house as it would be so vastly different for them! What an intriguing place, so much history in one place. Really informative post ? This looks like a charming place full of old traditions and culture. I’ll have to add it to my list of places to visit. The Amish way of life is quite interesting. Great to know about this place. A small piece of history tucked away in rural America. I love traveling so now this is on my list! great post! This is super interesting. I’ve heard about the Amish community before and have been to a Amish restaurant around Illinois. It was interesting to experience their culture. Thank you for sharing your experience. What a wonderfully rich history to explore! Last time I was there, I didn’t get to spend any time exploring since it was just a business trip. I would enjoy this! I had no idea Amish people came from Switzerland! And I didn’t even imagine they actually interact with people (yes, as long as no pictures are taken). Probably I had some stereotypes about them that made me thing negative things on their customs and traditions, but I guess I was quite wrong. A little bit of history while sharing a touristic place is just awesome. There is so many places to visit and no money at all, these posts make me feel like traveling a lot. I didn’t realise there was so much to do in Lancaster. It was really cool learning about the Amish way of life. Like others, I didn’t know the Amish people came from Switzerland. Great educational post, we will have to visit one day. The Afro-American history is fascinating. There is so much of heritage and history in the place. Your list is really fascinating and all are really worth their weight in gold. The visit to the farms is something that really interests me. Very interesting and informative post. Your photos are incredible as well. Thank you for sharing the history! This is truly a very descriptive post. Really loved reading into the Amish culture. What else is there in the food of Amish people?? What an awesome post! The whole Amish way of life has always been so fascinating to me. Theres a beauty in simplicity. I was in PA a few weeks ago, however, didnt make it out here. Definitely a place I would look to check out when Im back in the region. I got very curious about Amish.To think it is real in 21st century. Great! I will google for more on that. The other activities mentioned too seem interesting. Lancaster seems to be quite historical and culturally interesting. I’ve been wanting to see the Amish way of life (…and taste the bread! ), so the 90-min bus tours sound right up my alley! Thanks for sharing. You made it more interesting with the History attached here. Amish culture is now something I’d like to know more about. I really like the ambiance of the modern market place! NIce read! I never actually wanted to visit Lancaster, but you make a compelling argument. I have seen and spoken with Amish in a local community and find their culture very interesting. Are you able to visit their community in Lancaster? I’ve always heard that the food from Amish Country is unlike anywhere else. That farmer’s market looks and sounds amazing. I had no idea that Amish people have got such a long tradition and that they come from Switzerland. Their way of life is quite intriguing. I would love to get to know more about them and go on this tour. Great details and lovely photographs. I liked the fact that you have made a lot of effort to retell the hiistory of the place. It s also great to know about Amish people, their culture and ideology. I’ve never been! Looks like a great place to explore. Admittedly, I have not explored the U.S. nearly as much I should, since I’m born & raised here! At some point I will make it to all the places like this! Great post! I love seeing all the history in depth and in detail! Amazing history! I’ve read about Amish people before. I found them fascinating to have endured with their way of life for so long. I think it’s time i put thought to going to Lancaster, one that I’ve been putting off for a long time now. All of these activities look interesting. I’d be all over the Lancaster Market!! I had no idea Lancaster is the second largest Amish community and that it was brought from Switzerland! Mind blown! It’s so cool to see these towns that are so loaded up with history. The african american history is indeed very interesting. And there are certain aspects of this beautiful town that look so unique to me. Their way of life seems so unique too!! Great list of activities! Always love to visit places that have something to say about history and traditions. And love to visit local markets too! I have this passion for costumes and old clothes! Here they’re simple and amazing! Really cool to share this historical place with us!